I had the honor and privilege of meeting a man named Jaya Sankar in the year 2000, while I was on staff at Kensington Church. Jaya was visiting the US, raising support for Christ’s Evangelical Mission (CEM), his ministry back home in Andhra Pradesh, India. Part of Jaya’s story was recorded on video back in 2000. I don’t want you to miss a single word, so I transcribed the video below. But don’t stop there. Take another 5 minutes and let Jaya tell you his story, with his rich Indian accent, and watch his face light up as he shares the power of what he experienced. Click here for Jaya Sankar’s Story. “When I become youth, growing, I got so many doubts in these Gods. Who truly real God is. Which God is powerful? Which God is true God? Because we have so many gods. 33 million gods are there. So I approach my Hindu priests. They also did not give a good answer to me. Finally I approach the Hindu temple High Priest. He told me and taught me a mantra, a chant, and told me, instructed me, to recite 100,000 times a day. Like that, I had to continue it for 100 days. So I went to the river at night time, at midnight, I have to go in the water to the neck (water comes to here). I am standing in the water, having two rosaries in my hands, reciting this mantra 100,000 times before sunrise. My temple High Priest told me when I do this ceremony, ritual, reciting 100,000 times every day for 100 days, the God of Light will appear to me and will set me free from the darkness and from the sin. He will give me salvation. I was after truth. I want to see true God, this Light God. So I made up my mind, whatever it may come to me, my body, I want to see God. I want to see God. So I continued, I fulfilled 100 days, but no Light God appeared to me after 100 days. I was disappointed very, very much. Then I decided there is no God. These Hindu priests, temple priests, are simply deceiving people in the name of God. Then I was in a great hopeless condition, misery, agony. I was totally deceived. A lot of struggle going in my heart and mind. What is the meaning and purpose of the life living on this earth? A rich man, a poor man has to die one day. A young man, an old man, a child, has to die one day. What is the meaning? I also will die one day, so let me die. Let me die today. I don’t want to wait until death comes to me. I want to die today and see what will be there happening after the death. Then he told me, “I am Jesus”. He told me he is the Lord God. He shed his blood for me. He paid the debt to the karma on the cross of Calvary and he made me free from my sin. Jesus Christ promised me to be with me, to help me, to guide me throughout my life. I never, never forget that day in my life. 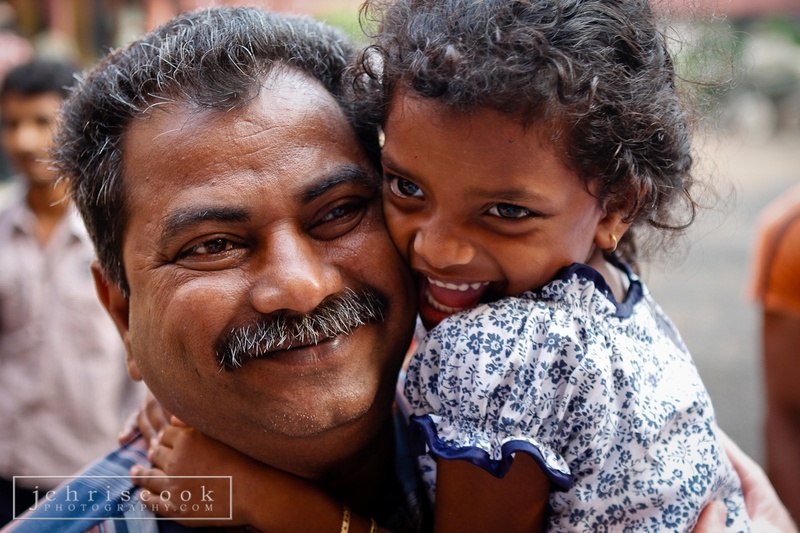 Jaya Sankar and one of the many children who call him Daddy. James 1:27, living and breathing. Photo courtesy of J Chris Cook Photography.com. We highlighted CEM – Jaya Sankar’s ministry in India – earlier this year when we focused on God’s special concern for widows and orphans. Here’s Jaya’s testimony of how Christ sought him out at a desperate hour of his life.